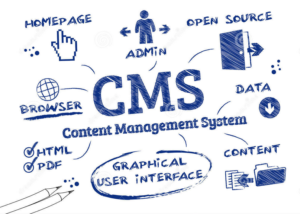 When choosing a content management system provider, factors that often come to mind are budget, functionality as well as customization choices, level of online tool integration, administrator control and ability to develop responsive websites. But most companies often ignore the most significant factor and that is data security. Data security is one of the biggest concerns for any business. Data breach can place consumer privacy at stake. While choosing a content management system (CMS) for your company, it’s important to choose a CMS service provider that implements strict safety and security means. Security of CMS in regulated niches like pharmaceutical, healthcare and finance is also necessary to ensure proper regulatory compliance. There are so many considerable factors when it comes to content security of a business CMS. For example, make sure you’re protecting essential fields where the content is being preserved. And that may go beyond your company’s four walls encompassing mobile devices like smartphones, tablets and laptops. It’s also important to recognize and evaluate all CMS-related security perils. You should have a proper content security strategy that may include enterprise-appropriate risk management measures. And such measures should comply with industry-specific security and privacy standards like FINRA, HIPAA and others. Choosing a CMS provider with proper certification for implementing proper quality control and management system in place ensures enhanced content security as well as compliance with HIPAA and other privacy and security-related regulations. A quality management system is nothing but a bunch of policies essential for planning and executions related to core business fields of any company. A carefully built quality management system enables you to ensure the services and products your business offers to our clients meet each and every regulatory criterion. To ensure that your company’s content management system is safe and secure against potential hackers, you must ensure that the CMS platform you use is updated. You can talk to the developers to schedule regular updates and patching periodically to make sure that your website is using the most updated and secure version of CMS. Moreover, you should back up the content management system and the database on a regular basis and keep tabs on platform-relevant security concerns by being updated on their potential security threats. You must check for WordPress and Drupal security updates. CMS plugin security is another important factor to be taken care of. As the administrator of your website, you must make sure you download plugins only from reputed sources. The plugins should be updated regularly. Both the web admin and the plugin developers have to run the plugins through code analysis solution to check for any vulnerability that may cause irreparable damage to your business, if exploited. In other words, you should choose a CMS provider who implements and executes all necessary measures to guarantee optimal security to your CMS. Considering the mentioned fact, it’s recommended to work with a CMS provider that has proper and globally-acknowledged certification. Proper certification is the confirmation of the authenticity of the provider and assurance that it works consistently to meet essential customer as well as statutory and regulatory requirements. It also proves that the provider is dedicated to ensure better customer satisfaction.